For 15-year-old Rachel Bryant, summer vacation promises to be fun. Her 17-year-old cousin Julia will be coming to Albuquerque, New Mexico to live with the Bryants, following her parents' deaths. With two brothers, Rachel is looking forward to finally having a sister. From the moment Julia arrives, everyone is enchanted with the orphaned teenager. But Rachel finds her strangely disturbing. Soon an evil poison seems to seep into every corner of her life. Can she discover what Julia is trying to do before it's too late? 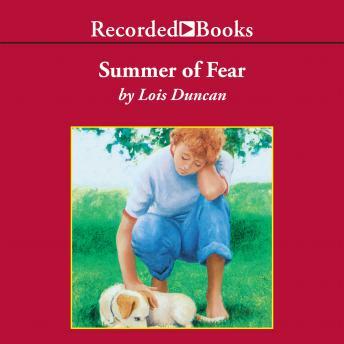 Best-selling, award-winning author Lois Duncan has won high acclaim for her fast-moving thrillers for young adults-and Summer of Fear is one of her most popular novels. With her dramatic pacing, Ruth Ann Phimister's skillful narration heightens each chilling moment of suspense. I read this book a very long time ago. I'm glad I found the Audiobook. Very good book. The narrator was excellent. She had a very nice voice.